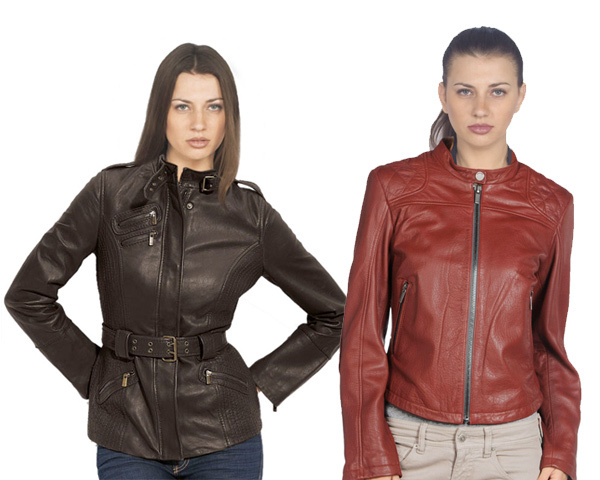 Article looks at the latest trending styles of women’s leather apparels. It gives readers 4 options on wearing jackets, coats etc. On a chilly winter morning there is nothing more pleasurable and warming than wrapping oneself with a warm coat. These apparels are great assets to individuals who want to look chic as well as feel warm to brave the winter elements. In this article, let’s look at some suitable options of wearing leather apparels. These are popular round the world and are considered universally flattering for the wearer. The unique selling point of this jacket is the collar which draws attention to the woman’s collar bone distracting attention from other parts of her body. The fabric doesn’t cling to the person’s body and hence is beneficial for women who are a bit heavy. A word of caution: women with shorter necks should avoid wearing this jacket as it would hide the neck area completely. Leather trench coats are apparels that will make you look lean and tall. They are considered as being longer jackets and ideal for those looking out for apparels that are having extra weight and providing warmth. 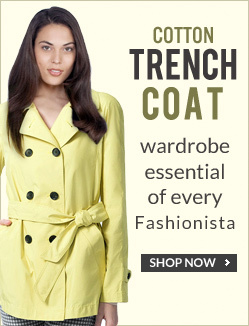 Women can always look towards designing this coat around one’s body type and should always go for trenches that go above one’s knees to sport the lean look. Those gifted with an hour glass like lean figure will benefit by wearing the cropped jacket which is cut shorter and ends around the belly button. This jacket is ideally recommended for those with slim waist lines and hips. Women who wear biker jackets are perceived to be those having a strong feminine personality and enjoy their own individual freedom. Wearing this jacket is a good way to celebrate that. On a concluding note, each of the 4 jackets mentioned above have a unique style of their own. Try to match your personality with the jacket and if you really want to look fashionable then you got to have the right accessories as well with them. Readers, let’s bear in mind that wearing just an apparel can’t overnight make you fashionable. It’s a blend of various elements. Before finalizing your piece of leather it is very important that you consider various options before purchasing it. We have been writing on many topics concerning fashion and they include not just wearing but also the maintenance of the apparels. If you are looking for information on a particular topic, do let us know, we would be glad to write.